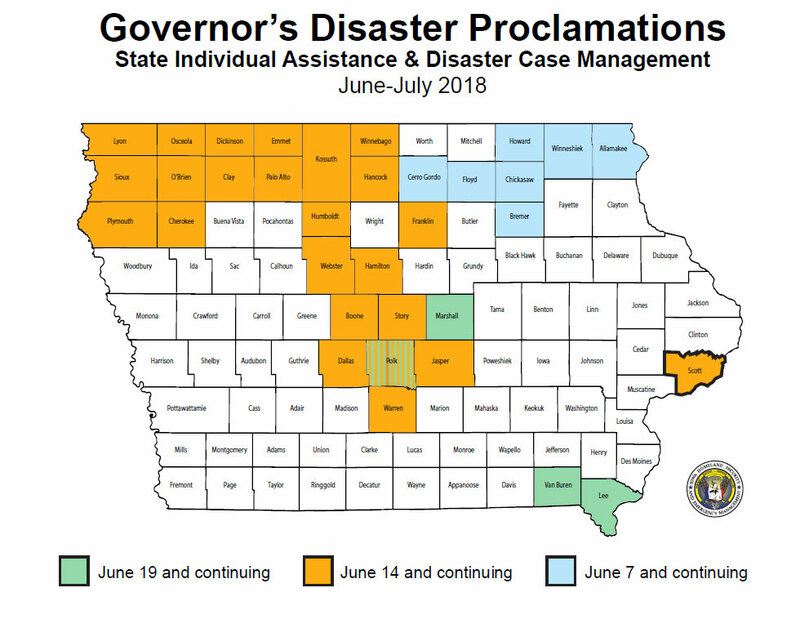 Governor Kim Reynolds has asked President Donald Trump for a federal disaster declaration and $16 million in federal assistance to help 30 counties recover from severe storms and flooding in June and July. Osceola County in Northwest Iowa received lots of rainfall and flash flooding during that time that even force one city to evacuate residents. County Engineer Aaron Holmbech says water flow over roads and bridges causing damage. “We had to actually perform emergency repair work on a couple of bridges and some of that stuff is completing now and we have crossings that are open to the traffic. We’re still fighting it, we’re still dealing with it. It’s an ongoing battle,” Holmbech says. Holmbech estimates Osceola County is facing more than $500,000 worth of damages. Cherokee County is also in the federal disaster request. Sam Kooiker from the City of Cherokee says flooding ruined parts of a park and green space, that will need to be replanted. Kookier points to Rock Valley in Sioux County as suffering a bigger disaster — with more than 50 homes that had to be evacuated due to flooding — but says his city still needs some help. “We do need the assistance to get back on our feet. Clearly the disaster we’re facing is not as severe as disasters elsewhere, but it really has impacted our communities and local taxpayers,” Kookier says Cherokee estimates its damage totals two-million dollars. Members of the Iowa Congressional delegation have sent a letter to the president asking him to quickly approve the disaster declaration. 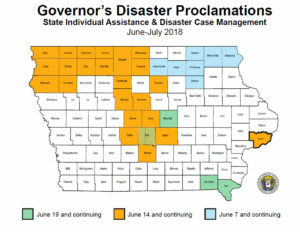 Other counties included in the disaster request are: Buena Vista, Cerro Gordo, Chickasaw, Clay, Dickinson, Emmet, Floyd, Hamilton, Hancock, Humboldt, Kossuth, Lyon, O’Brien, Palo Alto, Pocahontas, Sioux, Story, Webster, Winnebago, and Wright.